Irrigation smart controllers – Nature and technology come together to produce substantial water savings with built-in features to adjust for the optimal sprinkler run time; all controlled with the touch of your ‘smart’ device. Edible gardens – To truly live off the land, one must be able to grow food successfully. Community crop sharing and gardens are easy ways to incorporate herbs and vegetables; bee farming brings a boost to the bee population, flower pollination, and honey. Permeable pavers – Whether a driveway, sidewalk or back patio, this landscape design technique includes a solid material with joints that allows stormwater to reach the soil underneath while preventing stream erosion problems. Xeriscape – Colorado receives very little rainfall, therefore including plants adaptable to the semi-arid climate is important. 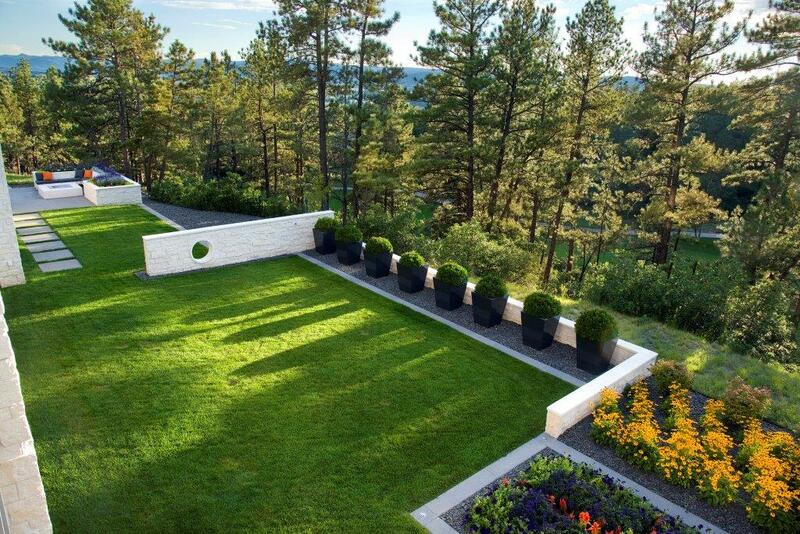 In 1981, Denver Water coined the term ‘xeriscape‘ for landscape design featuring efficient irrigation, soil amendment, and limited turf areas. LED landscape lighting – LED bulbs are built for long life; dimmable lights last even longer. They can be zoned throughout your yard or landscape for a reduction in both costs and resources. In the long run, even the smallest change towards a sustainable landscape can make a big difference.